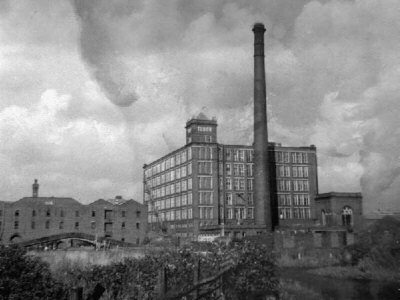 This page shows a selection of archive photos of some of the many cotton mills in Ashton under Lyne that are no longer standing. The photos on this page are from the Tameside Image Archive and appear here with permission. Clicking the button below each picture takes you to a larger version on Tameside's website, where you can buy a copy of the photo. Tudor Mill, next to the Ashton Canal Warehouse at Portland Basin, opened in 1903. It ceased spinning cotton in the 1960s and was used as a warehouse until it was destroyed by fire in 1970. New apartments now occupy part of the site. Cedar Mill, Hurst, looking along Alderley Street from Queens Road. 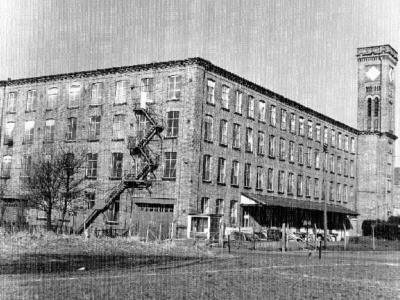 Opened in 1905, Cedar Mill was taken over by Courtaulds in the 1960s and was still used for cotton spinning until the 1970s. It made way for housing around 1990. 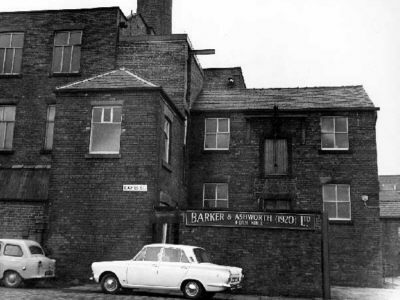 Atlas Mill, off Cranbourne Road and Oldham Road, Waterloo. 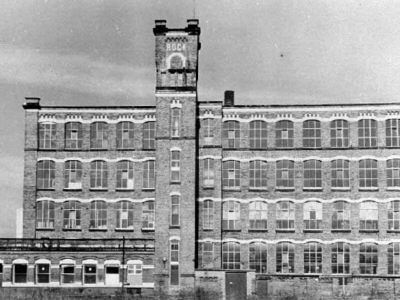 Opened in 1900, it was eventually owned by Courtaulds and was last spinning mill still working, although with artificial fibres. It was demolished in 1994 and the site is now a housing estate. 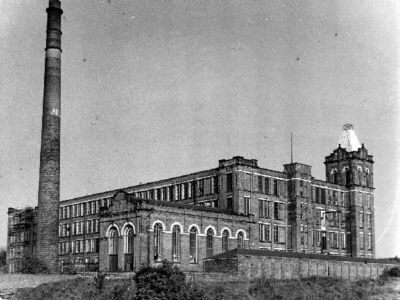 Rock Mill, off Wilshaw Lane and Oldham Road, Waterloo, was opened in 1893 on the site of the earlier Wilshaw Mill, making use of its octagonal chimney. 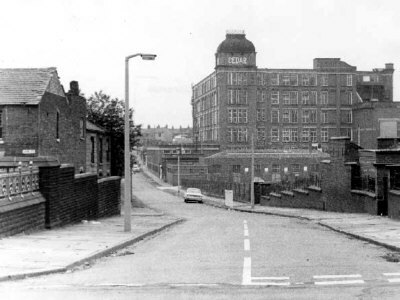 Rock Mill was demolished in 1971 for the construction of Ashton's original Asda store. Part of the Hurst Mills on Queens Road. This building was later known as "Cake-a-Pie" and was used by Rank Hovis McDougall. The site is now a small housing development. Park Bridge Mill was not a purpose-built cotton mill. It was built as an iron roller factory but was rented out for cotton doubling between 1885 and 1931. 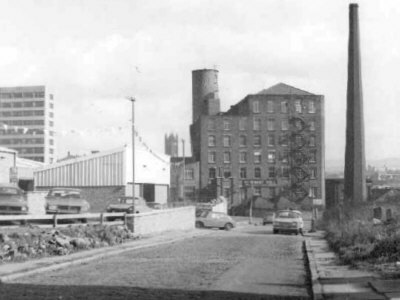 Wharf Mill was situated between Ashton Bypass (Park Parade) and the Ashton Canal. Dating from 1825 and extended in the 1830s, Wharf Mill continued spinning until the 1950s. Another view of Wharf Mill, with its round tower, seen from Cavendish Street. 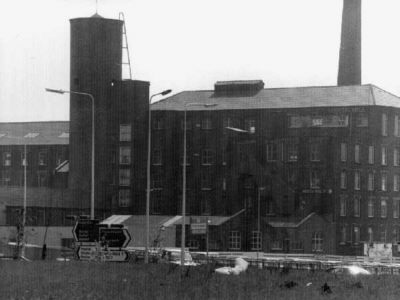 The mill was demolished in 1987 and the site is now occupied by the Asda store. Fern Mill, on Charges Street, Ryecroft, was built in 1856 as an extension of Ryecroft Mill. 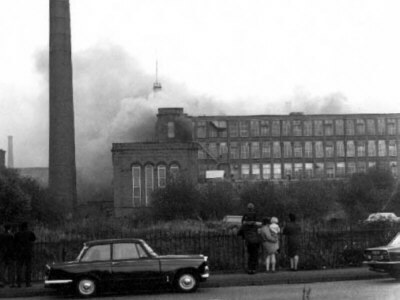 Texas Mill, Whitelands, seen from Park Road after being destroyed by fire in 1971. It was opened in 1907 but taken over in the 1960s by Courtaulds for the production of man-made fibres. 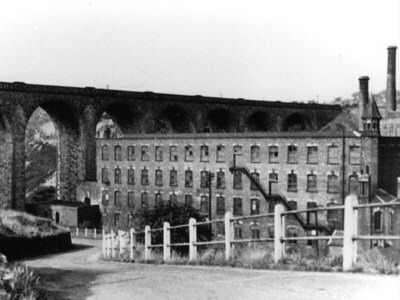 Read about the Cottom Industry in Ashton.